Separating children from their parents. Harassing and arresting passengers on Greyhound buses. Detaining asylum seekers for no reason. These are just some of the horrific abuses unleashed by the Trump administration’s anti-immigration deportation machine. Now, we’ve uncovered tens of thousands of pages of evidence documenting U.S. Customs and Border Protection (CBP) officials physically, sexually, and verbally abusing children. The majority of these children are asylum seekers fleeing violence in Mexico and Central America. Some are teenage mothers. Some are escaping gang violence. Some are in need of medical attention. All of them have risked their lives to find safety – and tragically, CBP has shattered that dream for so many. All human beings deserve to be treated with dignity and respect, regardless of their immigration status – and children, in particular, deserve special protection. The misconduct demonstrated in these records is breathtaking, as is the government’s complete failure to hold officials who abuse their power accountable. What’s even more alarming is that these abuses occurred before President Trump came into office. The officials who oversaw these abuses are still in power today. What’s more, Trump’s hateful anti-immigrant policies and rhetoric are bound to worsen the treatment of immigrant children. We have to do everything we can to stop CBP’s abuse of children. 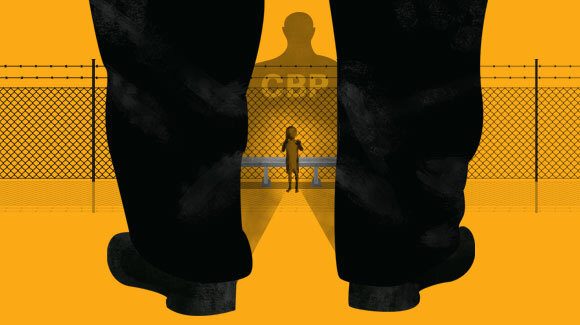 Add your name to hold the Commissioner of Customs and Border Protection accountable and demand an end to the brutal abuse of children in his agency’s custody. Stop subjecting children in your custody to physical, sexual, and verbal abuse. Hold the responsible agents accountable and make it impossible for any future abuse to occur.